Often the hardest step to take is the first one - saying yes. It’s making the choice to confront your doubt and insecurities and putting everything on the line for obedience. It can be the hardest step to take, but nobody has ever walked a mile without it. I remember many times standing on the brink of a massive breakthrough in my life and feeling scared, uncertain, and terrified to jump. Like teetering on the edge of a diving board and wondering how the water feels, that first leap in the direction God gave me felt so uncertain. Looking back on those moments now, I know there are no decisions I’ve made that have been more rewarding. 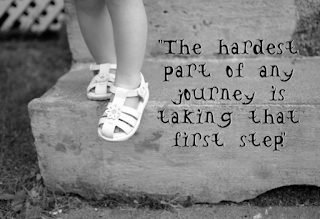 Unfortunately, too many people will never take that first step. God can’t orchestrate your win unless you’re willing to step into battle! 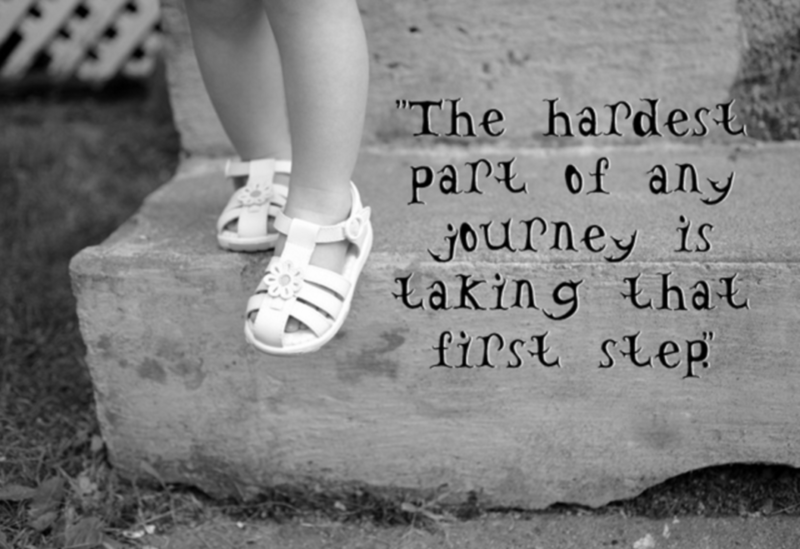 I read an article of a couple a few years back where they said it took them getting to the end of their ropes to finally take that first step, and how saying yes changed their lives. God had given them a business idea, but comfortable in their routine, they kept putting it on the back burner. As time went on, their financial situation grew serious. Still, they hesitated to start their business. They didn’t recognize it as an answer to prayers. That first step seemed scary and risky—so they continued to put it off. On the verge of losing everything and filing for bankruptcy, they finally took a leap of faith and started their company. Their business took off! Suddenly, they had cash to pay their bills, their company was thriving, and that was just the beginning! Their lives changed drastically! They didn’t have to spend years living in financial chaos; they just had to take that first step. How many ideas has God given you that you have simply hesitated to act on? Could one of them be the answer you’ve believed for? Seek God for direction, and when He speaks, act! Don’t wait until it’s your last resort—take the first step! Dear Lord give us the courage to take the first step. But before we do help us to come to You for direction. In the Name of Jesus, Amen. Your harvest depends on why you sow. Your harvest depends on when you sow. Your harvest depends on where you sow.